If, like many people, you were intent on playing the division, chances are you’ve been slightly disappointed. Hey, its an online launch title right? Not inexcusable but also not unexpected. The problem comes when there exists a bottleneck that could have been avoided if someone had just take 5 extra seconds to think about it. Within 5 minutes of character creature (and one cutscene) you have to use a laptop, unfortunately either by design, or server overload, only one person can use it at a time, if it even works in the first place (for me it did not). 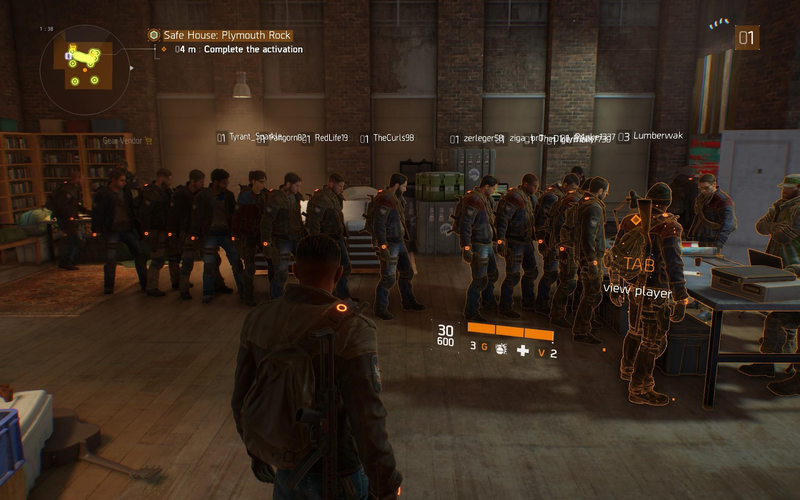 As I stood in line (not in picture, this was pulled from the division reddit) I couldn’t help but have that one thought that nobody at Massive apparently had: “Why isn’t this solo instanced? We have that technology now”. At this point I haven’t even shot anyone, why do I need to be thrown in to a public instance and see other players before I’ven even pulled the trigger on someone? Who knows, it probably wouldn’t help anyway since the laptop was broken, but at least I wouldn’t have spent 15 minutes watching monkeys crowd around cutting lines. I logged out, ran a tower II extermination in warframe, came back and thankfully the line was gone and the problem was fixed.